If there is some sort of program for blue and white addiction I'm definitely a candidate! I would LOVE to have this bedroom. So calming and cozy with just enough visual interest. 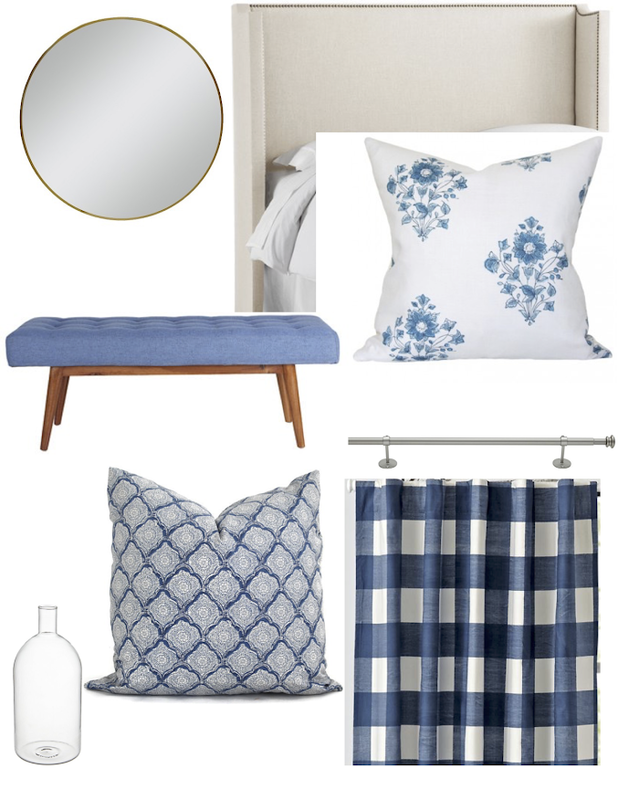 This was another proposal I worked on for my friends room refresh. Find the mirror here it's such a great scoop and UNDER $50!